That’s a wrap … the 2016 / 2017 International sliding season is complete. 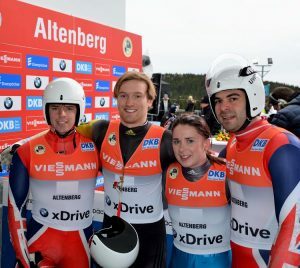 The GB Luge team had 6 athletes on the circuit; Rupert Staudinger, Mark McQuitty, Lucas Gebauer-Barrett, Danielle Scott, Adam Rosen and Raymond Thompson. 5 out of 9 World Cup races were participated in, along with the World Championships in Igls, Austria. One more race of the season to go, which is the British Championships, to be held on 9 March 17 in Lillehammer, Norway … I’ll keep you posted with the results.